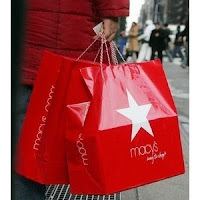 Apparently you can't miss this sale and clearance from Macy's, mostly because that's what they say on their page. Take 20-65% OFF a variety of items throughout every department in the store! Bonus: Spend $99 or more and get FREE shipping to your door! What are you looking for - clothing, home items, appliances, handbags, jewelry? All discounted. Heavily. I'm looking at the bedding items the most, as those all start at 50% OFF.